Fresh off a Clark Cup championship in the United States Hockey League a season ago, Dubuque coach Jim Montgomery knows his Fighting Saints aren't catching anyone by surprise in 2011-12. And that's fine, particularly since Montgomery returns an impressive group with an eye toward becoming the first team since the Omaha Lancers (1993-94) to garner back-to-back USHL titles. The second-year coach, who was named the 2010-11 USHL General Manager of the Year, is also grateful to have two players who could very well be selected in the opening round of the 2012 NHL Draft in center Zemgus Girgensons and defenseman Michael Matheson. "It's kind of a bonus knowing these players will be coached by Jim this season ... it will certainly benefit them," NHL Central Scouting's Dave Gregory told NHL.com. "But I don't think it'll factor in where you would draft a player. You have a guy like Jim Montgomery who is an excellent coach; you know these kids are being prepared well." Prior to coming to the USHL, Montgomery spent four seasons as an assistant coach for Rensselaer Polytechnic Institute. He's also one of the most decorated players in the history of college hockey, as he captained the University of Maine to the 1993 NCAA Championship while skating alongside Hobey Baker winner Paul Kariya. Montgomery is the all-time leading scorer at Maine with 301 points (103 goals) in 170 career games. He also had a 12-year professional playing career that included parts of six seasons in the NHL. "You can pretty much throw (Girgensons) out there with anyone because he has a high level of hockey sense, makes his teammates better and gets them the puck at good times," Montgomery told NHL.com. "He's a give-and-go player and has great speed, but the most important thing is, as he goes, the people around him work harder. "Michael (Matheson) is an elite skater and dynamic offensive-defenseman along the blue line on the power play. He's good on the rush and I've seen a big improvement in his defensive play already." Brian Cooper, D, Fargo Force: Cooper enters his third season in the USHL as one of the league's more intriguing draft-eligible prospects on the board at 5-foot-10, 180 pounds. The Fargo captain plays big minutes and likes to play the body. "Brian is going to be a real controversial guy because he's another Gary Suter or Matt Carle type where he's not quite 6-foot yet, but considered one of those offensive-type defenders like a Ryan Murphy (Carolina Hurricanes)," NHL Central Scouting's Jack Barzee said. A native of Anchorage, Alaska, Cooper was the only draft-eligible player invited to USA Hockey's Junior Evaluation Camp in August. He led all defensemen in scoring on the Force during the 2010-11 campaign with 11 goals and 22 assists and was fourth on the team with 33 points in 51 games. Cooper isn't afraid to shoot the puck, as evidenced by the fact he unloaded 123 shots last season -- fourth most on the team. He will attend the University of Nebraska Omaha in the fall of 2012. Matthew DeBlouw, F, Muskegon Lumberjacks: Former standout for perennial AAA Tier-1 power Little Caesars (Mich.) in 2009-10, the 6-foot, 185-pound center has already surpassed his rookie totals with the Lumberjacks in 2011-12. In 33 games with Muskegon during the 2010-11 season, DeBlouw produced 2 goals, 6 points and 51 penalty minutes after missing three months with a lacerated spleen. The long road back to the lineup including an inspiring performance in the Clark Cup playoffs, when he had a team-leading 8 points, including 3 goals, and a plus-6 rating in six playoff games. This year, a healthy DeBlouw has produced 3 goals, 8 points and a plus-3 rating in 10 contests. The Chesterfield, Mich., native was acquired by Muskegon in the second round (No. 21) of the 2010 USHL entry draft. "I just like his presence on the ice, how he plays the game and how he presents himself," Gregory said. Known as a physical and determined performer with a nose for the net, DeBlouw is also a devout Christian. "Faith helped me push through and has gotten me to where I am," DeBlouw told JuniorHockey.com at the start of the season. "I could've been depressed and down in the dumps. I just reminded myself, 'I know I can't play tomorrow or the next day, but I know God will help me get back in a couple months.' I just had to surrender and have faith." Jon Gillies, G, Indian Ice: The 6-foot-5, 215-pounder from South Portland, Me., a big admirer of Los Angeles Kings goalie Jonathan Quick, is committed to Northeastern University for the fall of 2013. He won 15 games for the Ice last season with a 2.82 goals-against average and .906 save percentage. This season, he's already 6-1-1 with a 1.89 GAA and .932 save percentage in nine appearances. "Jon has shown good poise and great quickness in there," NHL Central Scouting's Al Jensen, who specializes in goalies, told NHL.com. "He's shown great potential and will certainly be a top prospect among the goalies this year." Zemgus Girgensons, F, Dubuque Fighting Saints: Considered by many to be the best prospect available from the USHL this season, the University of Vermont-bound Latvian possesses a great passion for the game. In fact, the 6-1, 182-pound left-handed pivot would someday hope to be mentioned in the same breath as 2011 Selke Trophy winner Ryan Kesler of the Vancouver Canucks. "Zemgus is someone who's going to push being a real high-end rank for us all year," Gregory said. "We saw him at the Research, Development and Orientation Camp and he was impressive there with arguably some of the best available draft-eligible kids. He was also very dominant in the games he was in at the USHL Fall Classic." Girgensons finished third on Dubuque with 49 points, including 21 goals, in 51 games last season en route to being selected to the mid-season Western Conference All-Stars. He's produced 8 goals, 17 points and a plus-3 rating in 11 games this season. By all accounts, it appears Girgensons has every intention of attending Vermont in the fall of 2012 despite the fact his CHL rights are owned by the Kelowna Rockets. "He's a player who skates just as well with or without the puck and pushes the play and challenges you on the offensive rush," Gregory said. "A defenseman will play big gaps on him because they know he can blow by you or steamroll you ... he's going to be a very dominant player in the USHL." Mike Matheson, D, Dubuque Fighting Saints: The 6-foot, 170-pound Montreal native begins his first season in the league after captaining the Lac St. Louis Lions to a bronze medal at Canada's National Midget Championship in 2011 and was named the top defenseman after notching 3 goals and 8 points in seven games. He also participated with teammate Girgensons at the NHL RDO Camp in Toronto and represented Canada at the 2011 Under-18 Ivan Hlinka Memorial. Matheson, committed to Boston College next fall, is a little raw right now as he needs to grow into his body and add some muscle to his frame, but he's a gifted skater with great hands for a defender. He scored his first USHL goal in a 3-1 victory over Waterloo on Oct. 14 and was named the league's CCM Defensive Player of the Week. 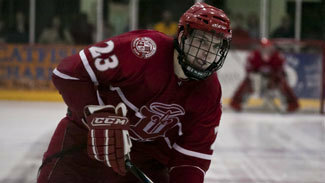 Matheson, of Point-Claire, Quebec, was selected by the Fighting Saints in the 2010 USHL Futures Draft before joining the team this season. He has 2 goals, 4 points and a plus-6 rating in 11 games. 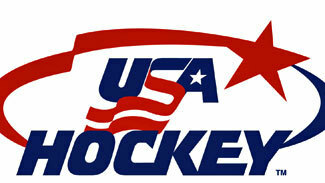 "He's a player with good size and he skates forward and backward with the same ease," Gregory said. "He's very comfortable on his skates; it's like he's walking or running out there ... there's no issue with his skating. His hockey sense is something I really love because he sees the ice and moves the puck to where it should be going." A.J. Michaelson, F, Waterloo Black Hawks: The 6-foot-1/2, 183-pound pivot was one of the top Minnesota high school players last season playing for Apple Valley High School. As a junior for the Eagles in 2010-11, Michaelson had 31 goals, 62 points and a plus-35 rating in only 28 games, including three playoff contests. "Just his skating, the way he's embraced the game and his tenacious approach are what I like," Barzee said. "He's an up-and-down winger. He sometimes gets too cute, but he can score goals, goes to the net and is a gritty, powerful player." Many scouts are looking forward to viewing the University of Minnesota-bound Michaelson after his strong scholastic performance a season ago -- he also played six games and had 1 assist with Waterloo at the end of the season. He's struggled out of the gate this season with 1 goal and 2 points in 10 games. "Once he became more involved and more active in his role with the team (during the USHL Fall Classic), he showed his ability," Gregory said. "When Tony Cameranesi (Toronto Maple Leafs draft pick) went down with an injury, A.J. gained top-line center as opposed to second-line center, and he responded very well." Jordan Schmaltz, D, Green Bay Gamblers: The 6-foot-2, 175-pound right-hander from Verona, Wis., led all USHL defensemen in scoring with 44 points (13 goals) in 53 regular season games last season en route to earning a spot on the league's All-Rookie Team. On five occasions, Schmaltz, who was traded by the Sioux City Musketeers to Green Bay on Nov. 6, was named CCM Defensive Player of the Week. He finished the regular season riding a 10-game point streak with 6 goals and 20 points, helping the Musketeers to a 9-1-0 record over that stretch and earning a playoff berth for the first time since 2008. Schmaltz, who participated in the NHL RDO Camp in August, has received plenty of endorsements to back up his great play. He celebrated his 18th birthday on Oct. 8 with a goal and one assist in a 5-2 victory over Fargo and was named the CCM Defensive Player of the Week. "I like his offensive instincts, as he loves to join the rush and has the skating ability to join the rush," Gregory said. "He's a good-sized kid but you can see he's still filling out; he's another kid who plays with a ton of confidence and his hands are excellent. "He's very comfortable with letting someone come at him while he has the puck because he's confident he can get around them or move into a spot and use his ability." Barzee believes the University of North Dakota-bound Schmaltz, who has 3 goals and 6 points in nine games this season, will be an exceptional force on the power play. "I don't know if he's as pure a skater as Matheson, but he's very good and his game is running the power play, making big plays and those highlight-reel passes," Barzee said. "He's also got a good shot from the top of the point. The thing is, I don't think he'll be drafted as a defensive guy -- he'll be drafted for his high-end offense."